With Brighton getting 14 inches of snow yesterday, it seemed like a good time to fire up our planning thread for Westfest 2019. As usual, the core of the event will be skiing the four Cottonwood Canyon resorts of Snowbird, Alta, Brighton and Solitude, with two "prefest" days for those who wish to arrive early. Although the dates are firm, the actual resorts may change based on ticket deals, so stay tuned and don't commit to specific ticket deals until we confirm the locations. We have moved the event forwards a week to keep it in January, so we can take advantage of the Salt Lake City "Stay and Ski Free" deal. Tom (macrophotog) is in touch with the city and will let us know details as they are available. As usual, we will plan to stay in the Sandy area. If that deal is not available, there is still the Superpass, Liftopia and multi pack deals. Stay Tuned! As of now the two prefest days are open. Last year folks with the Epic Pass skied Park City, but with so many new passes this year, like IKON, we wanted to give people the chance to have input on where they may ski. If Tracey and I come out early, we would probably ski Powder Mountain, as we get free reciprocity there. I think every resort in Utah is on some kind of pass, so let us know where you might like to ski. We can even add more Cottonwood days, if that works. Tracey and I now have an AWD that can take five plus all their gear. We are happy to drive up to the resorts everyday we are there. And if you have the Ikon pass many of those resorts are included , so come on out and ski with a wide variety of skilled skiers .. I’ll be there most likely on Friday. I am going to try to make it Thursday but will definitely be there Fri-Sun. I’m going to be staying downtown but if anyone needs a ride will have room for 2. It looks like the the "January Stay and Ski Free" deal may not be on offer this year, so we are going to confirm the dates so folks can take advantage of the early ticket deals through Liftopia. We are still keeping the first two "Prefest" days open, so folks can use their Ski Passes. As usual, our banquet will be on the Saturday evening at the Olive Garden, South Towne Mall, Sandy. There are some great lodging deals to be had through sites like Booking.com. I just reserved a five night stay at the Extended Stay Inn, Sandy for $355 for two. It is fully refundable, so can be cancelled if any better deals become available. The Superpass has unfortunately gone up again this year. The Four Day Superpass is now $400, which comes out to $100 per day. I think we can do much better on Liftopia. Liftoipa does sometimes sell discount gift cards around the holiday season with translates to direct cash savings, like a $250 face value gift card for only $200. 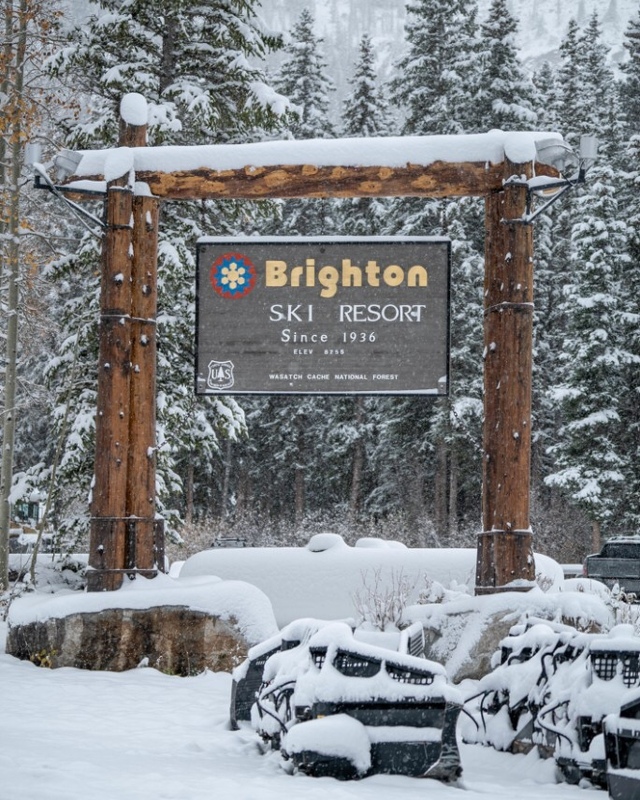 Brighton Ski Resort did not offer their tickets on Liftopia last year, however they did sell a five ticket discount pack, which is available again this year. The cost is $360 for a five pack of tickets. That works out the $72 per person, which is a $13 saving over the window price of $85. Like last year, would can coordinate together to make this work. Hey All, Paul you got us all revved up. Cindy did some research and we ended up booking at the Best Western Plus cotton tree in. Cindy liked the overall guest and the breakfast reviews. We called them directly and got a refundable king bed room for $119.00 a night for three nights. $404.00 total with taxes. They also have All four Cottonwood resort tickets at their desk for 91.00 if you want the convenience and don’t want to pay upfront. Just another option. Brighton is cheaper at the resort though with no discount at $85.00. See you all there! We will be skiing Friday, Saturday, and Sunday. Fantastic! You know it would be the same without you two. I was meaning to text you and ask if you guys were going to make it or not. Great to hear that you are. I just looked up the BWP. Looks like a nice place to stay. This is the link to the Liftopia Black Friday Gift card Promotion from 2017. You are only allowed to use one gift card per account, but could save $50 on a $250 purchase. I don't know if they will make a similar promotion this year, but it might be worth keeping an eye out for deals. Please read all the fine print before making a purchase like this to make sure it will work for you. For example, with current prices on Liftopia, the total ticket cost for Tracey and I for the three days of Snowbird, Alta and Solitude would be $430. If they had a similar promotion this year, we could buy A $250 gift card and a $175 gift card (requires two accounts) for a $75 savings on the total cost. I guess I’m lucky I got my Ikon pass when I did, 599 and I’m good for all the resorts that we’ll be skiing in Utah . Plus I get the unlimited but a few black out days to the place I ski the most at Mammoth plus get some days in Tahoe at Squaw and Alpine, seems like a good deal to me. I'm in. I've wanted to join for the last couple years, and I'm finally pulling the trigger. I have my flights and hotel all booked, so I'm locked in. I'll be there Thursday through Saturday. Looking forward to meeting some new people and getting in some awesome riding. Life is not a journey to the grave with the intention of arriving safely in a pretty and well-preserved body, but rather to skid in broadside, thoroughly used up, totally worn out, and loudly proclaiming... "WOW! WHAT A RIDE!!" Are you still using the modified step in Bomber bindings? I would love to see that set up in person. Yes, sir. That is still my standard setup, and I haven’t found a reason to change yet. Great to hear! Good to see another east coaster coming to Westfest!